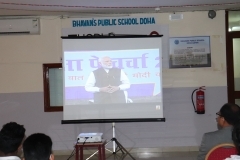 Prior to public exams, students of class X th and XII th had an opportunity to watch the interactive session of Prime Minister Narendra Modi .The live streaming was telecasted in the school auditorium for students of class X and XII. 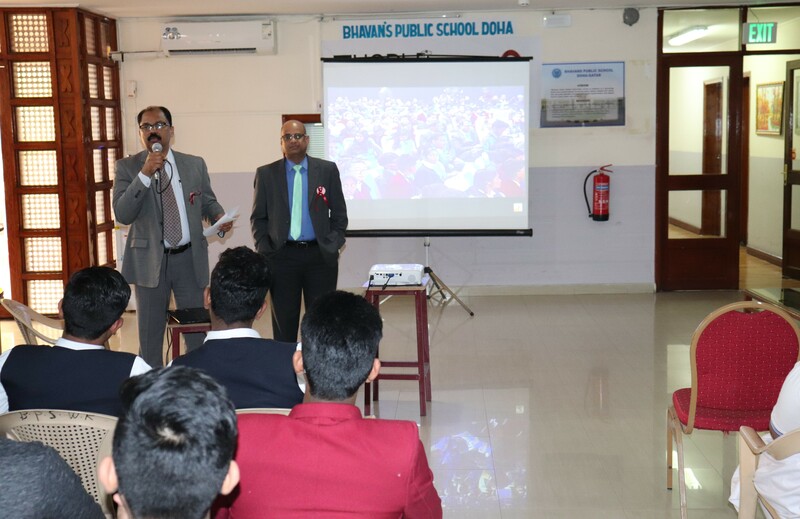 Principal Mr. M P Philip commenced the program with a grooming session in which he dispelled the most common worries and queries that students appearing for board exams possess. He inspired the students with positive thoughts and his words apparently brought an upturn in the student’s confidence. 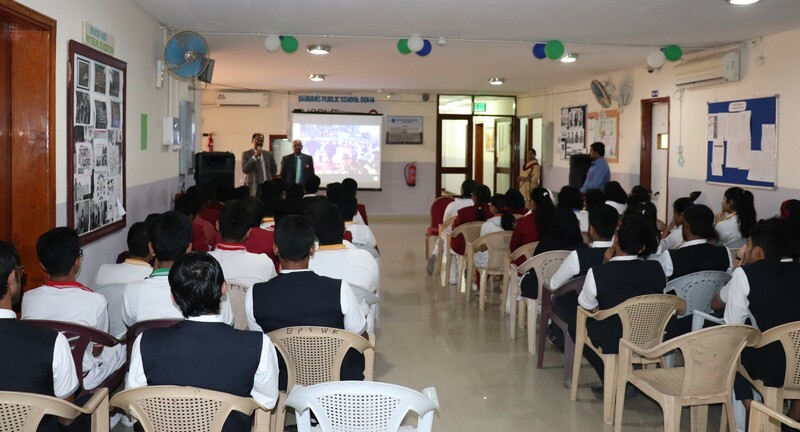 He gave valuable tips which could help the students to disentangle the stresses and fears of public exams. 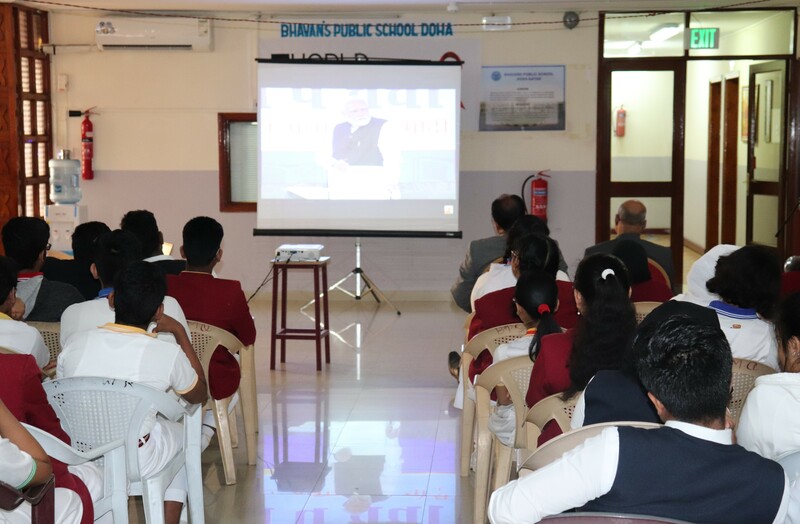 Students watched Prime Minister’s interaction with great interest and enthusiasm. 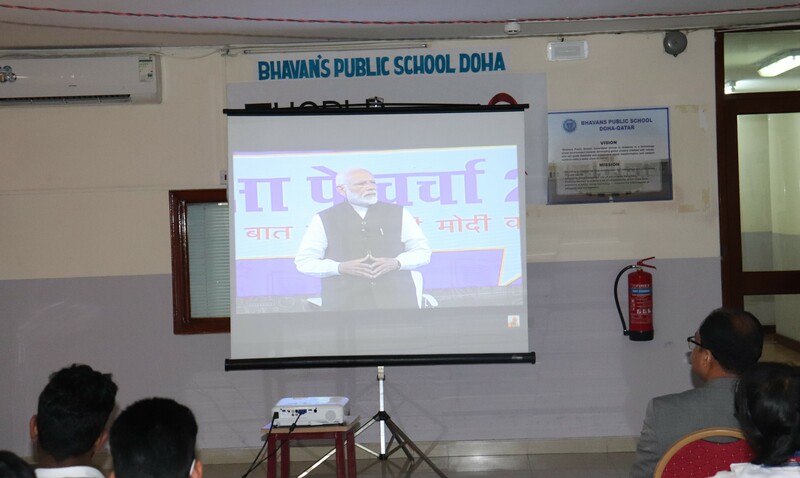 Students were sublimated and bolstered after watching the interactive session, Prime Minister Narendra Modi demystified with his charming words the fears and stress suffered by students appearing for public exams. 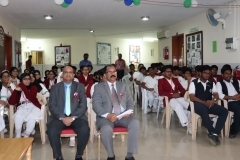 His words could energize and rejuvenate the morale and confidence of the students. 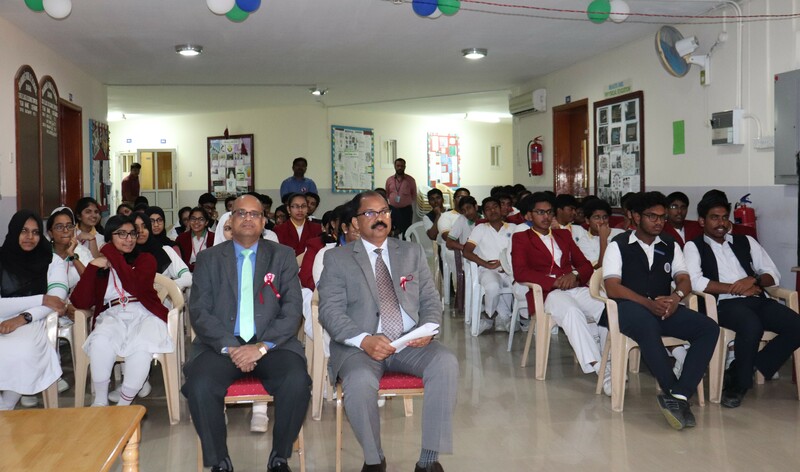 Vice Principal Mr. Dharmaraj Kumar conducted a reflection on Prime Minister’s speech and interpreted the notions conveyed by PM. He also escalated the spirits of the children with his encouraging words. Academic coordinator delivered the vote of thanks, Activity coordinator Shaijumon was also present for the function.